HÀ NỘI — Việt Nam catfish processors must prepare for the inspection programme of the US Department of Agriculture (USDA) in order to boost exports into this market.“If Vietnamese producers can meet USDA’s requirement, a huge market in the US awaits them,” according to a recent article on seafoodsource.com. All catfish will be subject to the scrutiny of the USDA from September 1, including pangasius. 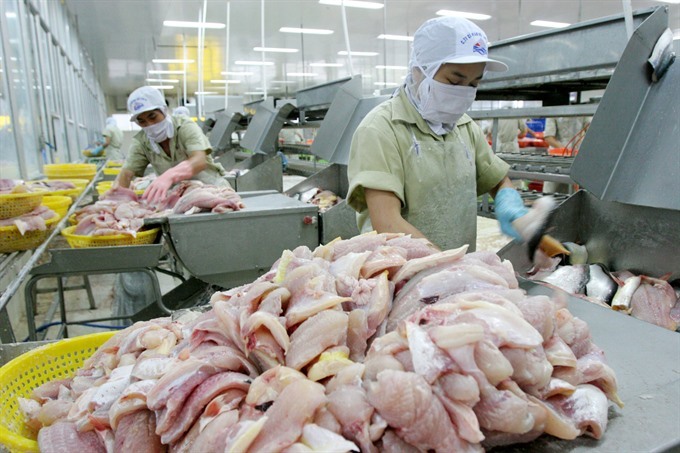 USDA inspectors will check on all stages of the production chain in Việt Nam. Catfish regulation will shift from the US Food and Drug Agency (FDA) to the USDA from the beginning of September, according to a law passed in 2014. The rules, pushed by the US catfish industry, will come into full force on September 1 after a 18-month transition period. Regulations under the USDA are considered more stringent, challenging Việt Nam’s struggling pangasius industry, which supplies about 90 per cent of the pangasius sold in the US. The sales of pangasius to the US would soar if Vietnamese exporters would use the American term for them - “catfish”, according to the story. In 2002, a law was passed restricting the use of the word to American varieties. However, pangasius is now officially recognised by US authorities as being a catfish species, whether they produced domestically or imported, according to the story. One month ago, the National Agro-Forestry-Fisheries Quality Assurance Department sent a request to the US Department of Agriculture’s Food Safety and Inspection Service asking for an equivalency determination on siluriformes fish of Việt Nam, according to the Việt Nam Seafood Exporters and Producers (Vasep). From March 1, 2016 when the transition period started, 62 Vietnamese processors were found eligible for exporting siluriformers to the US. Other exporters will have to await the equivalency determination, expected some time this summer. Dương Ngọc Minh, chairman of the Hùng Vương Corporation, said at the company’s annual shareholders meeting last week that exports of pangasius fish to the US would face many difficulties in 2018 due to the impacts of the USDA’s increased inspection. He added the tra fish industry of Việt Nam was facing a severe shortage of raw materials, which would last to February 2018 at least, due to unfavourable weather.